Summary: Use charcoal to treat swallowed poisons and diarrhea. Have the victim swallow a mixture of two tablespoon of charcoal in a glass of cold water. After three to five minutes, promote vomiting unless the swallowed poison is acid, alkali, kerosene or anything that may cause convulsions. Repeat the treatment three times. Administer another dose of charcoal and permit it to go through the intestines to absorb any poison which has left the stomach. This has been found to be as or more effective than the widely used “universal antidote” which contains some charcoal. Tablespoon of charcoal in a glass of cold water every 48 hours until diarrhea is under control. Be certain to get medical help for any diarrhea in a baby that does not respond immediately. For severe diarrhea in adults or babies, shake ¼ cup of powdered charcoal into two quarts of water and let the mixture stand until the charcoal is settled. Pour off the clear liquid and drink freely. 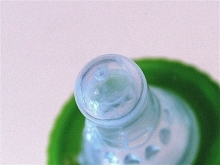 Use a nursing bottle for infants; the baby will get considerable benefit. The complete black charcoal solution can also be given to the baby in small amounts. Give as much as the baby will take for the first twelve hours.